Renewing a Japanese driver license is simple enough for the most part, it's just that it can be time consuming and is a completely dull way to have to spend a precious day off. It will indicate that you have a two-month period in which to get your license renewed (one month before and after your birthday). The postcard also details how much it will cost, where it can be done, and what you need to bring along. If, like this expat, work restricts you to the weekends for dealing with Japanese society's bureaucracy, a 'drivers license center' (運転免許証センター) is likely where you'll be doing the procedure. It may also be possible to renew at your local police station (which may be easier in terms of access) but these locations are often only able to conduct the process on limited weekends. 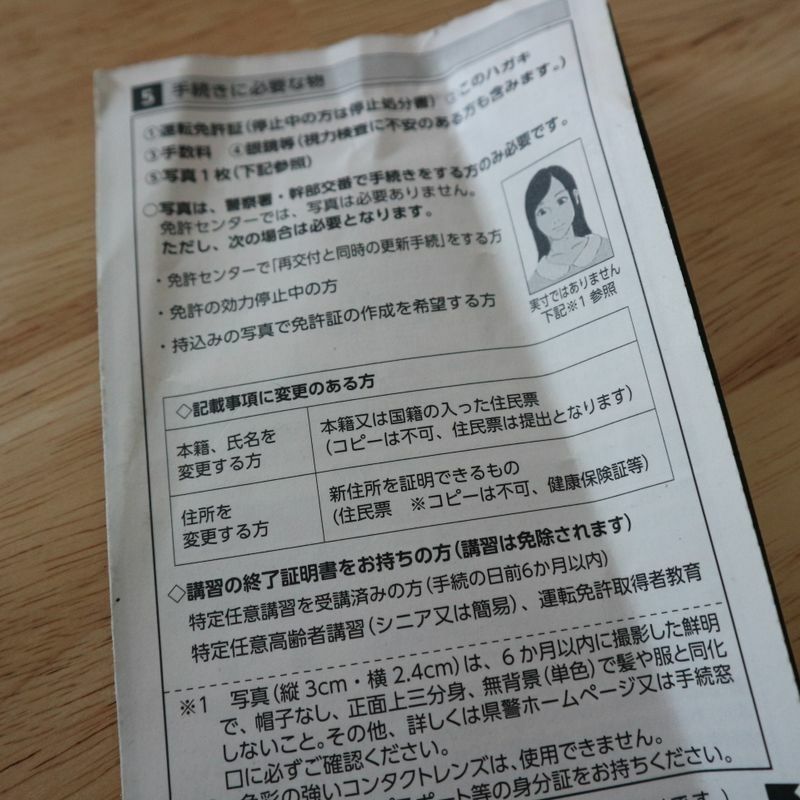 Wherever you renew your Japanese driver license, you'll need to bring that postcard, your current license, at least 3,000 yen, and your Residents Card or passport (just in case). Everyone needs a new photo, but at drivers license centers photos are taken on-site. Renewing at police stations will mean having to have a photo prepared. The dimensions are detailed on the postcard (3 cm in length, 2.5 cm in width - the usual rules apply). License centers and police stations keep the same kind of hours for renewals -- with two available sessions either side of lunch. Police stations will undoubtedly receive the least amount of human traffic. On weekends, expect a lot of people! The time you arrive may be dictated by how long your 'road safety' lecture is scheduled to last. So, facing a two-hour lecture means giving yourself time to fit that in. Better to get there early in that case. It should also be noted that beginning the process within an hour of closing time may mean having to carry things over to another day. Nobody's idea of fun! When I arrived at the license center at around 1pm on Sunday, it was pretty packed. With just over an hour left before reception closing, there were few people around. Moving around Japan’s drivers license centers in pursuit of a renewal is easy enough, counters are clearly numbered and in the end you’re just following everyone else. 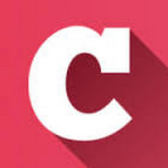 Hand in your postcard and current license - staff will quickly print off a form with a copy of your license scanned into the middle of it and hand everything back to you. Create two pin numbers on the form for use when you check the conditions of your new license at machines once it has been issued. Staff circle the fields you're required to fill in. Go over to the booths to do this. This is arguably the trickiest part of the process. Forms, in this expat's experience, aren't available in languages other than Japanese and while staff are floating around this really isn't bend-over-backwards-to-help-clueless-foreigners territory. Once you've got the form filled-in though, that's about it in terms of consequential language barriers. The postcard details the price of renewal. Your form will be returned, along with a receipt. It's over to the eye-test area where the longest queues typically await. If there's anything good to come out of the long lines, it's that staff on duty don't muck about with the eye test. Stick your peelers up to the machine and read off two or three of those broken circles on a Landolt C chart. Gestures will do if your Japanese can't handle "up," "down," "left," and "right." Don't forget to tell the staff on hand if you're wearing contact lenses. Eye-test staff will tick some boxes on your form and hand it back to you. FYI -- I've no idea what happens at this stage if you fail the eye test. That said, you'd have to be in a pretty bad state not to be able to pass it. You then hand everything over, once again, at another counter and it's here that you make a final check of your details (name, address etc) before they are printed onto your new license. After these checks, loiter around and wait for your name to be called. Here, your license will be returned along with a slip of paper with a kind of ID number on it which will be called out when your new license is ready for collection. Staff keep your application form from this point. 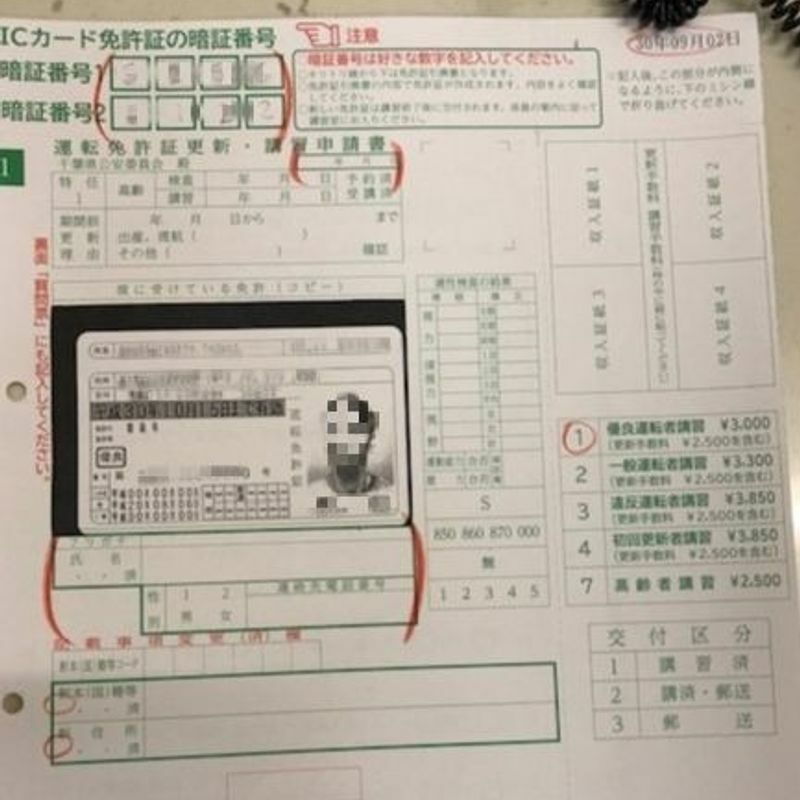 As was mentioned at the beginning of this piece, renewing a Japanese drivers license at a test center means that photos will be take on-site. It's all staffed so you don't have to worry about dimensions or sitting position -- everything is directed by the member of staff taking the photo. With the greater part of the procedures on your part complete, you'll now be directed to another section of the facility (usually upstairs) to take a driving safety lecture while you wait for your new license to be printed. There will be a reception desk around the lecture rooms from which you'll be told which room to go to. Being a holder of a 'Gold license' this expat only had to sit through the 30-min job. Of course, as someone renewing their Japanese driving license, you'll already be familiar with what is about to take place. Rather unnervingly there are writing materials prepared on each desk, and in the past, during longer lectures I do recall having to tick some boxes on a form / test paper, the content of which I couldn't understand. It was all without consequence though. 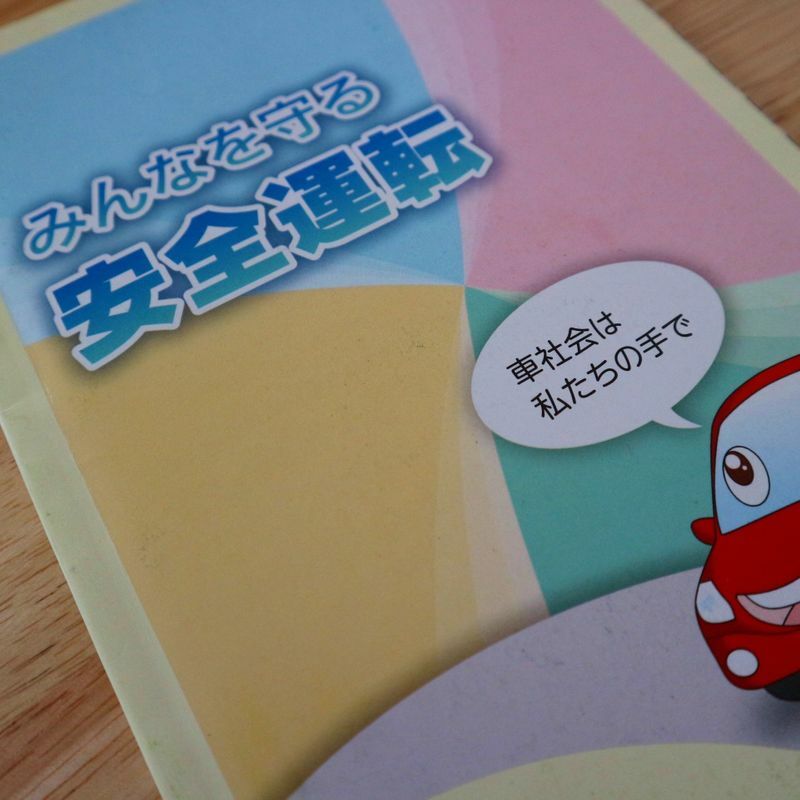 This time around we spent the greater part of our 30 mins being talked through a 'driving safety' guide some literature about how many traffic accidents there had been on the roads of Japan over the last year (with an emphasis on the stats relating to the local prefecture). In 2018, there was a lot of talk about elderly drivers, and it was also noted that Japan had increased its reciprocal agreements with other nations meaning there would likely be more foreign drivers to content with. Slightly awkward then, as I appeared to be the only foreigner in the room. At 30 minutes though, the lecture was painless enough, and nobody was asked any questions. After the lecture (keep the 'road safety' guide and any other literature) follow everyone else to a waiting area by some counters. Here the number on your slip of paper will be read out when your license is ready. In the past I've handed over my old license, had a hole punched into it, and then been handed it back. No so this time. Staff kept the old license and I was left with just the new one. The next and final stage is where those pin numbers you created come into play. Head over to some machines that resemble automated flight check-in terminals. There is no foreign-language option here but they are simple enough to use. Place your license on the scanner and leave it there. Enter both your pin numbers and an image of your license will appear on the screen. Check the details are correct (I don't know why you can't just do this with the actual license) and if everything is in order (spelling of your name etc), take your license and walk away. You don't need to press any buttons. When it comes to the photo for your license, try to avoid wearing clothes that exactly match the color of the background, like it ... didn't. 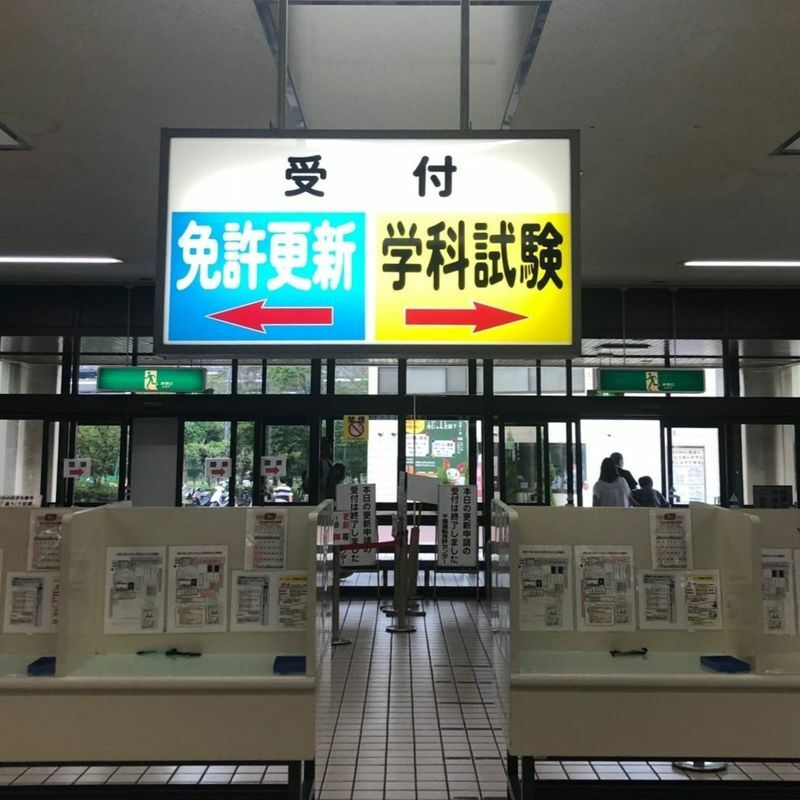 In this driver's experience, driving license centers in Japan are drab places, in appearance and atmosphere. In fact, they probably rank 2nd behind immigration centers as places where almost no one wants to be but has to from time to time. In terms of on-site facilities, expect a few vending machines, an uninspiring convenience store / cafe, a small children's play area, waiting areas, and toilets. Still, for people renewing licenses, there's little in the way of down time as you move from one stage to another. 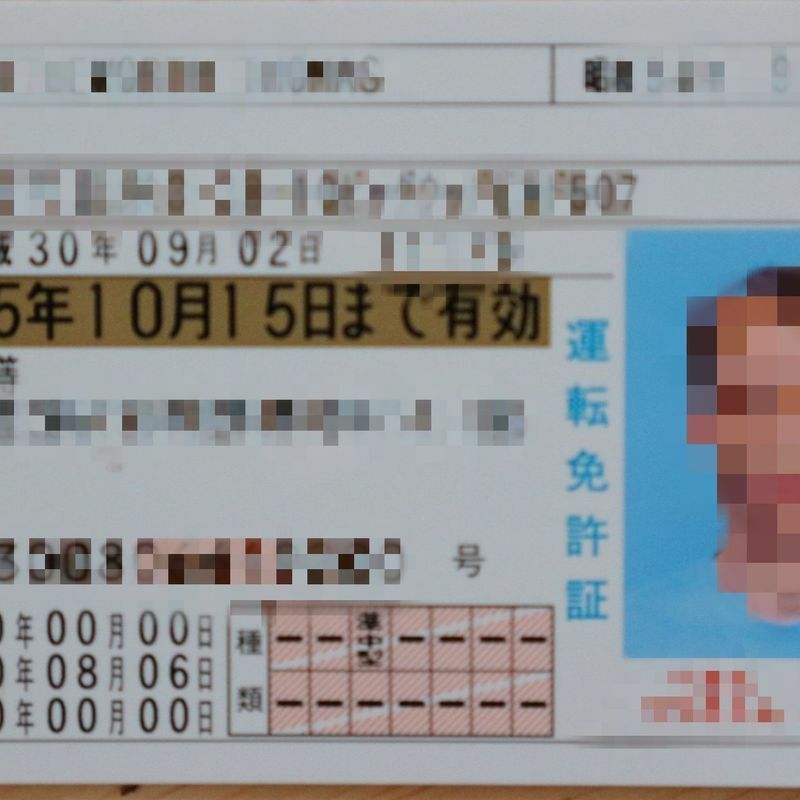 What was your experience of renewing your Japanese drivers license? Let us know in the comments.